"Corazón" (English: "Heart") is a song recorded by Colombian singer Maluma featuring Brazilian singer Nego do Borel. It is a remix of Nego do Borel's song "Você Partiu Meu Coração" and was released on 3 November 2017, originally as the lead single from Maluma's upcoming third studio album F.A.M.E. (2018). The song then later became the album's second single due to the inclusion of "Felices los 4" on the album. It was written by Maluma, Romeu R3, Bryan Lezcano, Kevin Jimenez, Jefferson Junior and Umberto Tavarez, and was produced by Rude Boyz, Umberto Tavares, Mãozinha and Carlos Lago da Costa. The single has peaked at number 87 on the Billboard Hot 100 and at number five on the Billboard Hot Latin Songs chart. 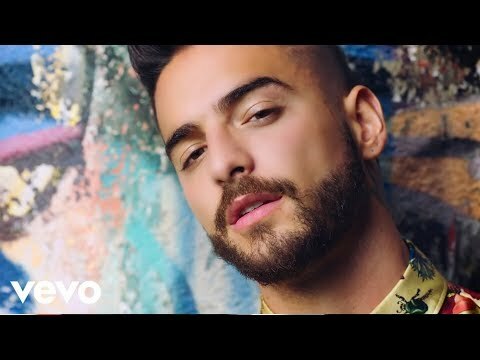 The music video for "Corazón" premiered on 8 December 2017 on Maluma's Vevo account on YouTube. It was directed by Jessy Terrero and shot in São Paulo, Brazil. Ronaldinho Gaúcho makes a cameo appearance in the video. The music video has over 1.1 billion views on YouTube as of June 2018.